There’s no point in denying it, Christmas is now everywhere. And it’s been like that since October! But I resisted and decided to wait until December to make a few Christmassy things. 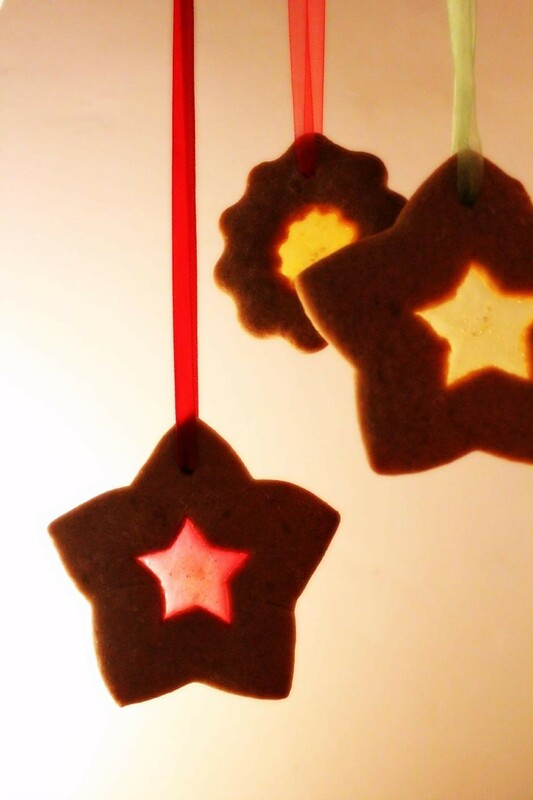 These stained glass biscuits will look great in your Christmas tree…if you can wait long enough before eating them. In a bowl, mix together the flour, salt and ginger. Rub in the butter with your fingers until you get a fine, breadcrumb-like texture. Mix in the sugar. In a separate bowl, beat together the egg and golden syrup, then add to the flour mixture. Mix until you get a well combined dough. Chill the dough for 15 minutes. 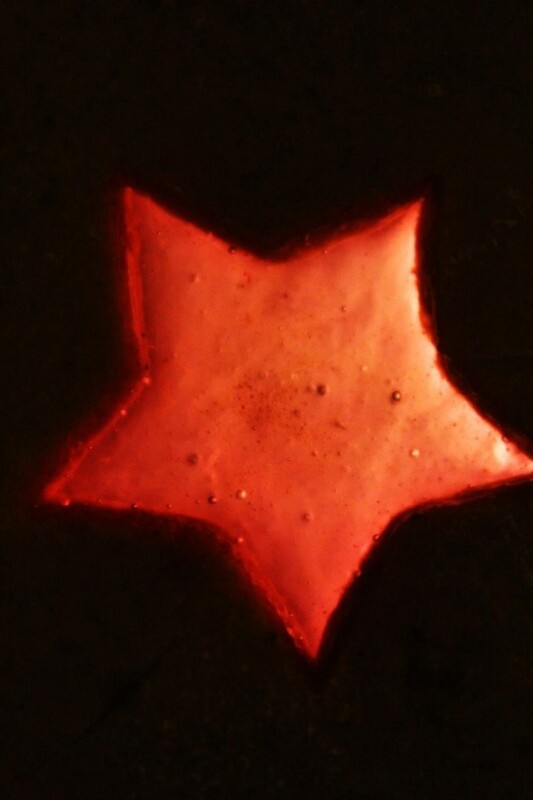 Roll the dough out on a floured work surface to about 0.5 cm thick, then, using cookie cutters, cut into shapes. Transfer the biscuits to the baking sheets. Cut out shapes in the centre of each biscuit. Fill each one with a crushed boiled sweet. 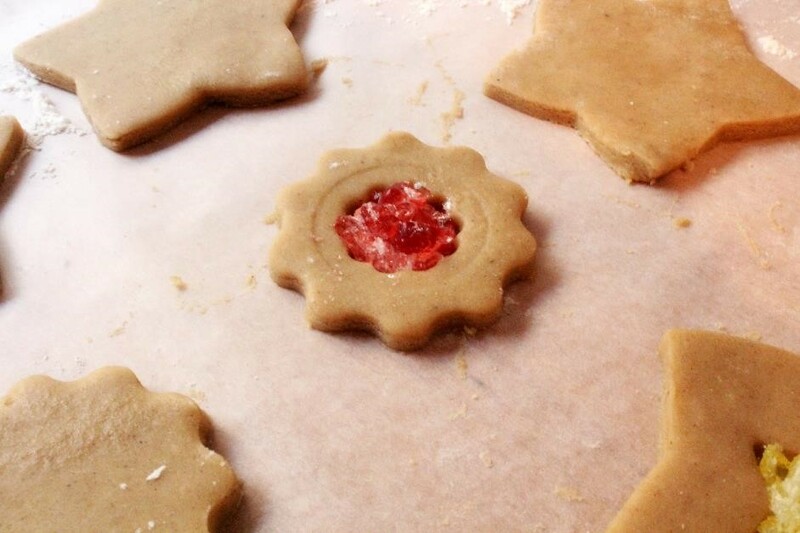 Make a hole at the top of each biscuit so you can thread a ribbon through it later. Bake the biscuits for 12-15 minutes, or until golden. Take the biscuits out of the oven and let them cool before removing them from the baking paper. When cool, thread ribbons through the holes in the biscuits.